The inability of the FDA to properly screen medications and devices before they make it to the market is one of the major contributing factors to the serious problems we are hearing about, according to a study performed by the publication, Obstetrics and Gynecology. Numerous doctors have mounting concerns over just how easy it is for medical devices to make it onto the market through a loophole that allows any device that has similarities with an existing one to pass over the clinical trial, research and approval process that would otherwise be required. Devices such as power morcellators, transvaginal mesh and artificial hip implants have recently been the source of angst and suffering as patients who received defective implants or underwent surgical procedures requiring the use of defective devices suffered extensive physical and psychological harm. 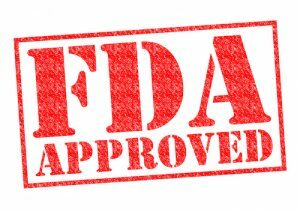 The reason this medical equipment has made it to market so quickly is because FDA oversight lacks teeth and the 501(k) process allows the acceptance of new products without any reasonable level of clinical research that would prove the device is safe and effective. Supporters of the process claim that to require manufacturers to undergo a more stringent approval process would stifle their ability to come up with new and more effective technologies, but the study is actually showing the reverse to be true. The extra time needed to properly review devices before granting approval has the potential to save lives, money and hardship. By requiring manufacturers to prove that their products are safe, the FDA can make great strides in preventing the need for warnings and recalls to begin with and quickly identify issues that require warnings in order to ensure that the public has all of the information needed to make educated decisions regarding their health. Medical devices are hitting the market at a quicker pace than ever before and the FDA doesn’t possess the resources or authority to protect the public in the event that a device does cause significant hard. There have been numerous cases where the FDA has dragged its feet or stated that while a device was known to be linked to serious complications and risks, it could remain on the market with the addition of a black box warning. In the case of both power morcellators and transvaginal mesh products, the FDA has stated that there were serious concerns over their use, but still chose to issue only limited recalls of the products. In 2011, a safety communication was issued regarding transvaginal mess following 4,000 complaints. By 2015, over 70,000 lawsuits had been filed by women who were harmed by the devices. While manufacturers have withdrawn several products willingly, no action was taken by the FDA to pull the items mandatorily. Power morcellators received the same treatment, with the FDA only issuing a safety communication rather than a recall. The devices are known to disseminate hidden cancer cells throughout the uterus and make it more probably that patients develop a more advanced stage of cancer as a result. The FDA has acknowledged these risks, but merely warned against the use of morcellation and advocated for stronger screening methods. Until the FDA is allowed to provide more much needed oversight during the process of device approval and to take more aggressive action toward recalling defective products, the public will continue to suffer a physical, emotional and financial toll. Safety communications have been proven ineffective and products need to be removed from the market much sooner when there is sufficient evidence available to suggest that they are a source of injury.